DeeJay wrote: I've just terribly offended and hurt a very good friend who has sent me these links and asked me if all these people were not real, if the towers were really empty. He has heard about "conspiracy theories" before but never from someone he respects. I thank you, sincerely, for taking the time to demonstrate to me the impossibility of the window people. FYI, I am now doing my homework and reading everything A to Z and will try to refrain from wasting everyone's time in the future. I am guilty for having jumped erratically from one subject to the next: there's just so much to absorb! http://archive.org/details/abc200109111241-1323 (at around 19:40 into the archive clip). The tallest man was 272cm (8.92 ft), his name was Robert Wadlow. He died 1940. But this is amazing how big they are in New York. Up to 4 meters. Without any doubt, this one is real and in NY there are the biggest human beings on the planet. Respect. 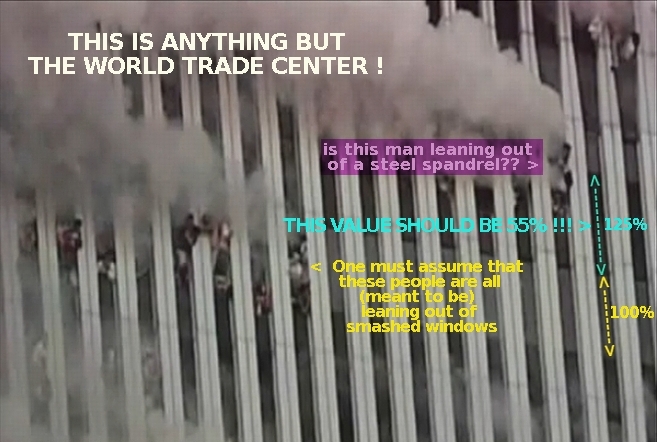 The picture is the best evidence Or don't you trust home videos and news stations? That doesn't make you a genius, RF. However, it surely proves that you're not stupid ! 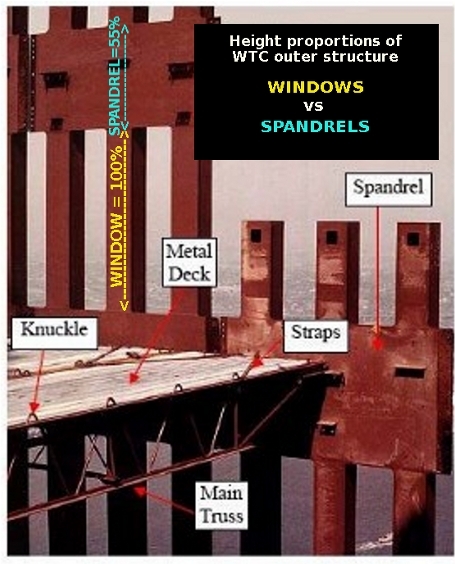 simonshack wrote: Now, whether the folks responsible for crafting these atrocious 9/11 photo/video frauds were stupid or not is open for debate. I'm getting more and more people asking me if I think that they made these 'mistakes' on purpose (for some reason). My answer to that is: "I don't know. But does it matter? After all, hasn't 99% of the world fallen for it all - to this day?". Yes, I think that it might matter if the mistakes were deliberate. If the mistakes were deliberate, was it whistle-blowing? A symbolic "religious" language that the farmed peasants cannot read? A really warped sense of humour, laughing at the stupid peasants who buy it at face value? Easter Eggs (candy trail) designed to provoke a managed response? A Darwinian method of sorting the wheat from the chaff, if they intend to get rid of the chaff? In the case of Falling Man, I would say some mistakes don't appear to be deliberate; they appear to be sloppy editing. Bad keying, for instance. Few people would notice this on close inspection, and we really do not know why they would do such a thing. We can speculate about the details, but measurement and pressure of public response are definitely themes of Falling Man. The danger of ignoring the why is that we lose information about the "enemy" but the danger of paying too much attention to the why is giving credit where credit is not due and making the "enemy" out to be something it is not. That's why I agree with Simon that it's not important or wise to speculate too deeply beyond what we've uncovered on this forum. If you see something deeper, however, please expose it for everyone. Just be aware that there is a general philosophy on this forum of remaining in the very skeptical, "no frills" science of is it fake or not? and less focused on the why is it all so fake? and we will refocus when necessary. What an appropriate soundtrack ! It's not often I will say this but OMFGG! I just love the alien arm with the 4' forearm waving on the left side of the tower. Quite how the alien managed to lean out so far to be seen from the "cameraman's" angle is beyond my comprehension of human physics! Darn, what was this video about and what was the soundtrack? It looks like the account that posted the video was pulled. Funny... We are told that 200+ people jumped to their death that morning. 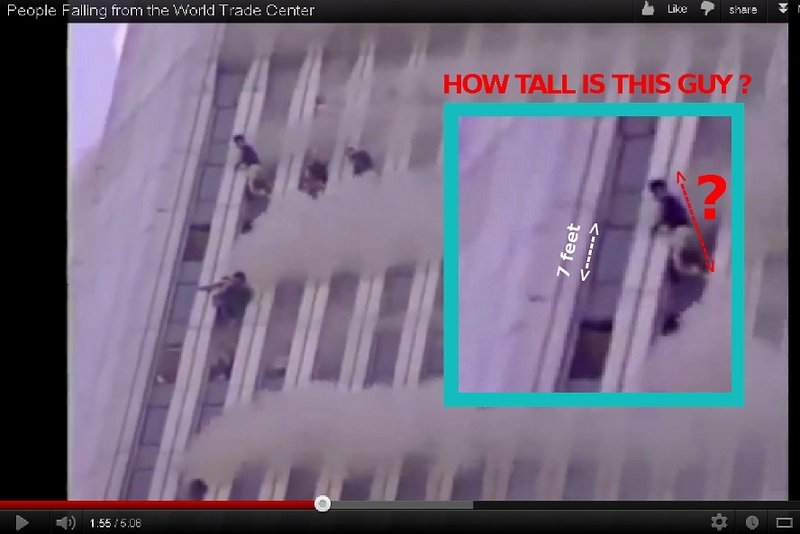 Yet we cannot see any jumpers in the LIVE TV footage? How can that be, I wonder ? ...oops! And whats going on in that backdrop? Is that a landslide? And no - don't even try arguing that this supersonic, scrolling backdrop is due to 'the TV chopper's sideways drift'. I wonder if the nerd who made that "3D" landscape simulation software still has a (government) job! Simon, I just noticed something in that video that seems totally incongruent. Not familiar with the "16-SECOND MAGIC SEQUENCE", are you Steve? But yes, your observation is quite valid. 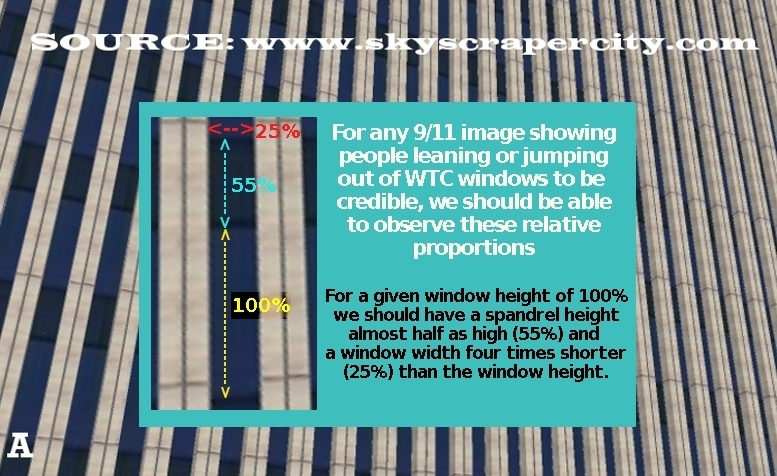 If you look at the "International Shot" (ABC), the angle of the towers doesn't look right - in relation to the "Ball" shot (NBC), where we see the 'plane' disappearing behind the towers far too early - with respect to its apparent speed and trajectory (if this sequence had depicted a real event in the real world, that is!) Whoever composited this 16-second animated sequence had a pretty poor sense for time/space/perspective. Don't you see what's going on here Simon? Questioning the footage as if it were somehow legitimate. 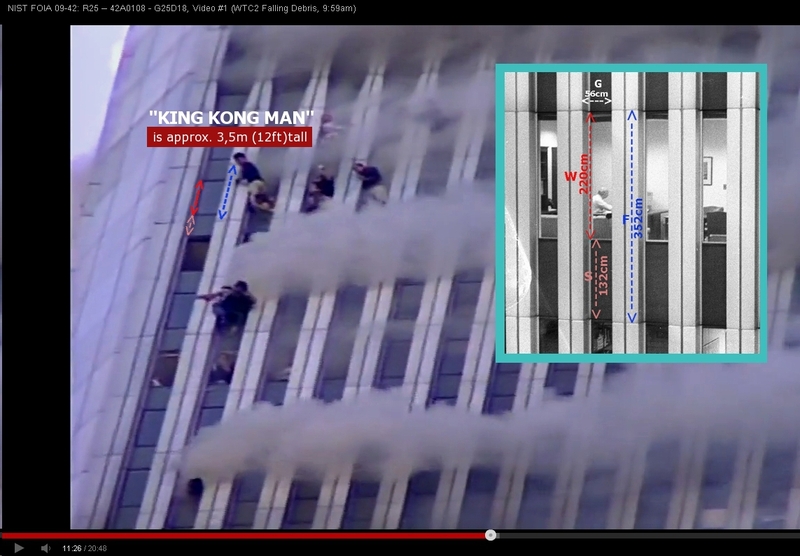 It makes no difference which angle the fly walked across the screen in the latest Lookout Mountain studios, the "footage" was fabricated years prior to the event. Just like the towers were emptied years before [IF THEY WERE EVER POPULATED]. The static cameras in the sky yeah, the five mile zooms, the post-production software panning and shake. It was fed to the TV stations the same way the loony landings were, 4 decades ago. It worked that time. Why not use it again? There was NO footage taken on that day.